Enjoy the quiet and tranquility of a country vacation while only minutes away from major locations. Located on the Lomond River, which offers a total of ten (10) Atlantic Salmon Pools and is truly a fisherman's paradise. Central Location to see the attractions of Gros Morne National Park. After a day of site seeing, fishing, hiking, etc. 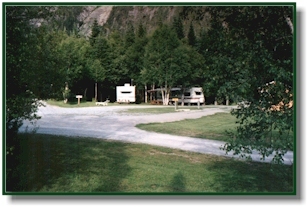 our lodge is a place to relax, play pool or darts, and meet friendly Newfoundland folks. On Saturday night, we feature cultural music entertainment and dancing. or click here to e-mail us..